Default Time Period is the time period that you see every time you log into your planner. This feature lets you set a frame of time that will be displayed based on the present day. As the result of the following example you can always be sure that you see nearest 3 weeks period if you open this view. Or, in case of a single Project View, you can set the period based on the Project's current duration. 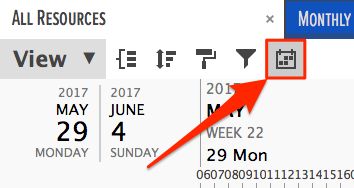 You can set a different default time period to each view. 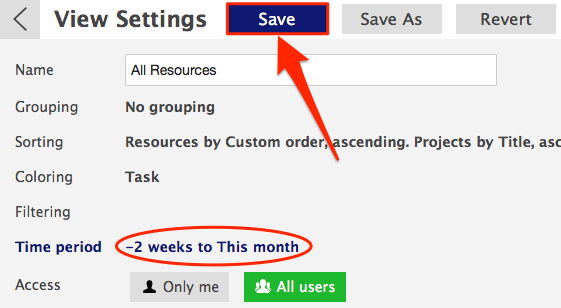 You can change the time period temporarily if you don't save it. Click on it change the default time period that is displayed in the Gantt chart area. You can choose between months, weeks, and days. Click on 'Apply' once you're done. For single Project View there's also the 'Duration' option that will set the period based on the first and last Task assigned to that Project. Did not find the answer to your question regarding default time period in the Gantt chart area?